alaTest has collected and analyzed 1951 reviews of Huawei Google Nexus 6P. The average rating for this product is 4.4/5, compared to an average rating of 4.1/5 for other Cell phones for all reviews. Views about the design and camera are overall positive. The screen and usability also get good views, but comments are divided on the portability. Many are negative about the apps and connectivity. We analyzed user and expert ratings, product age and more factors. Compared to other Cell phones the Huawei Google Nexus 6P is awarded an overall alaScore™ of 91/100 = Excellent quality. alaTest has collected and analyzed 37 user reviews of Huawei Google Nexus 6P from Amazon.co.uk. The average user rating for this product is 4.1/5, compared to an average user rating of 4.1/5 for other Cell phones on Amazon.co.uk. People are impressed by the usability and price. The camera and screen are also appreciated. There are some mixed views about the size. There are some critical opinions about the portability and design. alaTest has collected and analyzed 791 user reviews of Huawei Google Nexus 6P from Amazon.com. The average user rating for this product is 4.3/5, compared to an average user rating of 3.8/5 for other Cell phones on Amazon.com. Comments about the battery and camera are overall positive. The screen and usability also get good opinions. There are some negative comments about the connectivity and reception. 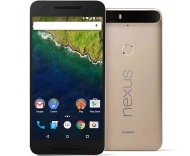 alaTest has collected and analyzed 2 user reviews of Huawei Google Nexus 6P from Amazon.ca. The average user rating for this product is 4.0/5, compared to an average user rating of 3.9/5 for other Cell phones on Amazon.ca. Views about the camera and size are generally positive. The battery and usability also get good views. Some have doubts about the portability and performance. The Nexus 6P is what happens when you cross a smartphone with a tablet. It is a large, well built ‘phablet' born from a collaboration between Huawei and Google. The Nexus 6P doesn't have the most inspiring design, but when it comes to hardware prowess, value for money and Google extras, this best-ever Nexus is hard to beat. The best phone in my life! Use it all the time.